Our team of experts is ready to handle your rubbish removal needs in Rockdale. When it comes to cheap waste disposal, Quick Rubbish Removals is your best choice. We are experts in this field, and that’s why we know very well every intricacy in the rubbish removal tasks. You don’t want yourself, or any of your family members get hurt handling waste products. Also, if you are struggling to spare time to manage the household or office waste, our Rubbish Removal Rockdale team is there to help. We believe in protecting the environment and doing the right thing when it comes to disposing of rubbish and waste products. We all know the importance of preserving the Earth’s atmosphere and reducing everyone’s carbon footprint nowadays. Our rubbish disposal approach is environmentally friendly. Moreover, we will deal with old computers and broken furniture in the most environmentally friendly and efficient ways possible. Your garbage will be removed to the right facility for the right kind of rubbish. You can count on us to perform the waste disposal job without wasting your time. Moving In or Moving Out. Why not let a team of professional rubbish disposal experts take care of the job for you? Commercial rubbish collection and commercial rubbish removal are things we do all the time here at Quick Rubbish Removals. So, let us take care of your commercial rubbish collection Sydney situation. That way you are free to get on with the more important job of moving out and moving on to bigger and better things. Moving into a new home or a new commercial location can be very exciting. But as people unpack fresh new furniture and household items, they find they soon have a big mound of cardboard and Styrofoam. It is fast piling up in the corner. Plastic and even wooden crating can also begin to accumulate when we first move into a new building. Why Choose Quick Rubbish Removals? Our Rubbish Removal Rockdale team know all the tricks of the trade. We can hunt down and find all those bits of extra junk and residual waste that build up in an office. Our team will get the rubbish out quickly and efficiently. 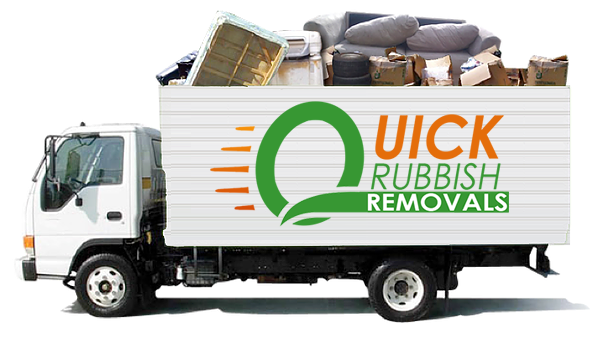 Call us now on 1300 558 567 for any Rubbish Removal Rockdale or email us today at info@quickrubbishremovals.com.au.